The Community Youth Center, located in Concord, California, is now accepting applications for an assistant to head coach Mark Halvorson. 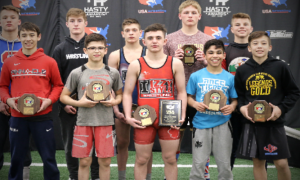 Halvorson, of course, is a familiar face to those in and around the United States Greco-Roman program. 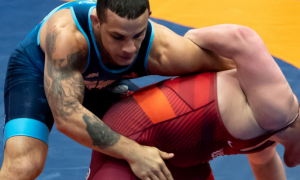 He has been a part of several World-level coaching staffs, including the 2016 Rio Olympic Team and he’s back at it again this year with the U23 squad that is heading to Bucharest next month. The Community Youth Center, CYC for short, is an institution, that, like its head coach, looms large over the US program. Numerous accomplished Greco athletes got their starts under Halvorson, Stevie Gee, and Kenny Cook. 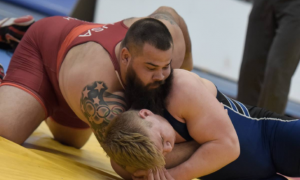 Multi-time World/2016 Olympic Team member Robby Smith (130 kg, Chicago RTC) is perhaps CYC’s best-known alumnus. 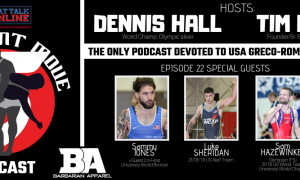 But right there with him are current National Teamer Lucas Sheridan (97 kg, Army/WCAP), 2018 Junior World Team member Peyton Omania (67 kg), and NMU rising star Mason Hartshorn (60 kg), among others. Applicants for the assistant coaching role should know that this is not a Greco-only opportunity. 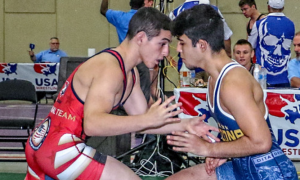 CYC offers a full wrestling curriculum throughout the year, so a complete scope of all three disciplines is highly-desired (yes, that means folkstyle). Nevertheless, this could be an exciting and important boost for an aspiring coach and it’s a job opening that is expected to yield a host of promising candidates. Position: Full-time Middle School & K-5 Lead Coach, & Assistant to the CYC Head Wrestling Coach. Community Youth Center (CYC) is a not for profit organization in Concord, CA dedicated to improving the lives of youth. We offer ten sports plus an Academic Excellence Program. The wrestling program offers classes for age groups K-5, middle school, and high school. We are seeking a high level, enthusiastic and dedicated wrestling coach for all age groups. 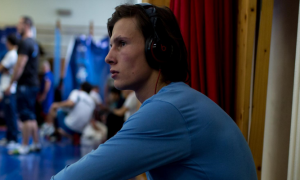 Education: Knowledge of folkstyle, Greco-Roman, and freestyle wrestling styles. 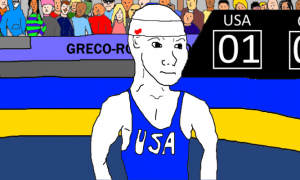 Experience: Previous wrestling coaching experience required, as well as experience as a wrestler in high school, college, and/or the Olympic styles of wrestling. We are looking for someone who has experience working with young people, has a passion for wrestling and coaching, and wants to make an impact in the lives of students. Position is year-round full-time, including weekend competitions. Average work week will be 40 hours with classes ending at 8:00 pm Monday through Thursday, and normally at 7:00 pm on Friday. Scheduling may vary depending on our class and competition schedule. Candidate must work effectively with others and must be comfortable in a room filled with active and diverse student athletes. Also must be able to multitask, help many students at once, and help manage the room. Manage K-5 through middle school wrestling programs. Manage K-5 and middle school class staffing. Assist with high school programs, classes, and competitions. Manage and run wrestling classes for all age groups, including teaching skills and setting and achieving group advancement goals. Plan and execute new and exciting summer camps along with other enrichment for student athletes. Support the goals of the CYC Wrestling Program by promoting our program to potential students and their families, and evaluate the program for continuous improvement opportunities. Support the comprehensive wrestling fundraising plan to cultivate potential new donor sources and events, and work with coaching staff to meet annual goals. Work with CYC management to assist with special projects, CYC events and fundraisers, and other tasks as assigned. Maintain attendance and skill advancement records. Help keep wrestling facilities welcoming, clean, and tidy. High energy, passionate, enthusiastic, flexible attitude for working in a very busy and sometimes chaotic environment of active students. Able to work with several students at once or one-on-one when necessary. Help create an environment that fosters a positive and enriching student-centered learning environment. Please send resumes and inquiries to Head Wrestling Coach Mark Halvorson: [email protected] Find out more about CYC on the web.